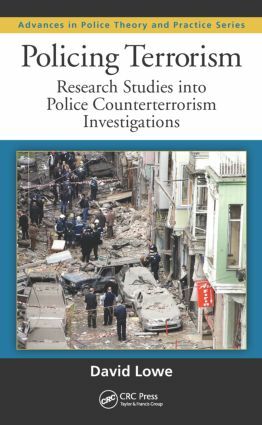 Based primarily upon information from the UK Special Branch Counterterrorism Unit, Policing Terrorism: Research Studies into Police Counterterrorism Investigations takes you through the mechanics of a counterterrorism investigation. A combination of legal and empirical research, this entry in the Advances in Police Theory and Practice book series examines subjects that include surveillance, intelligence gathering, and informants. It also addresses practical obstacles in counterterrorist investigations. The first section of the book conducts a comparative study of laws governing terrorist investigations in the UK, US, Canada, and Australia. It compares the legal definition of terrorism in each country and how it has been incorporated into the statutes regarding terrorism—except in the case of the US, which has not established a definition of terrorism. The book locates similarities in the legal jurisdictions of cooperating countries and discusses how legal gaps can create difficulties for international cooperation. The second section contains empirical studies on practical aspects of terrorist investigations and the activities of terrorist organizations. It evaluates operational officers’ discretion in using the powers granted to them and analyzes terrorist organizations’ methods in radicalizing and recruiting people to their causes. It also explores the critical role of informants in gathering intelligence, covering a broad range of issues including integrity, risk assessment, ethics of handling informants, police interrogation of suspects, and the use of informants at trial. With many governments currently at a high threat level, increased international cooperation among counterterrorism agencies is imperative. Policing Terrorism presents several pathways to generating more effective cooperation. It provides you with information on factors that help or hurt cooperation while suggesting what can be done to improve current counterterrorist laws and practices. Is a Wide Legal Definition of Terrorism Assisting Agencies Identifying a Disproportionate Risk in Society? CTU Operational Officers’ Attitudes Toward the Law: Followed to the Letter or Just a Rough Guide? Terrorism Legislation: Extension of Power or Extension of Discretion? Loyalist Paramilitary Violence: Fueling and Legitimizing the Fire of 32CSM/IRA’s Cause? Recruiting Informants in Counterterrorism Investigations: Is Loss of Integrity a Noble Cause? David Lowe is a principal lecturer at Liverpool John Moores University Law School. Prior to becoming an academic, he was a police officer for 27 years with the UK’s Merseyside Police, with the majority of his service spent as a detective in the Special Branch Counterterrorism Unit. His research in policing, terrorism, and security has been published in books and journals. He also coedited the second volume of Trends in the Judiciary: Interviews with Judges from across the Globe. He is a regular contributor to Westlaw’s legal encyclopaedia, Insight, on legal issues related to terrorism, and is regularly used by the television, radio, and the print media in the UK, Europe, and the United States for commentary in these areas.